Site Selection magazine has ranked Kentucky’s business climate among the top 10 in the nation in its 2013 Top State Business Climates ranking. Jumping two spots from 2012, the commonwealth ranked ninth overall in this year’s annual survey. A Kentucky initiative to identify farm products produced by veterans will become a national brand, Kentucky Agriculture Commissioner James Comer announced on Veterans Day at the Frazier History Museum in Louisville. The Farmer Veteran Coalition, a California-based organization that helps veterans develop careers in agriculture, will administer Kentucky’s Homegrown by Heroes program on the national level. The Farm Credit System has announced a $250,000 commitment to fund the national program. Comer launched Homegrown by Heroes in January as a brand that identifies agricultural products produced by Kentucky military veterans, providing an incentive for consumers to buy those products and for retailers to stock them on their store shelves. XPO Logistics Inc. is investing $2.7 million to establish a new logistics center in downtown Louisville. Since being founded in 1989, the Connecticut-based company has become one of the fastest-growing providers of transportation logistics services in North America, quadrupling in size in the last two years alone. The company offers truckload and less-than-truckload brokerage, last-mile logistics, ground/air expedited transportation and freight forwarding services to more than 8,600 customers in the manufacturing, industrial, retail, food and beverage, commercial, life sciences and government sectors. The company has operations in 89 locations in the United States and Canada. XPO is relatively new to the Louisville area, having acquired a small logistics operation there earlier this year. 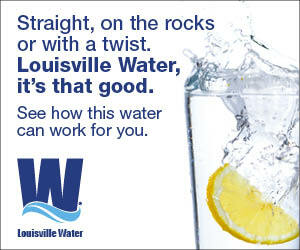 The company currently employs a staff of 14 and anticipates adding 120 new jobs as a result of its Louisville expansion. XPO Chief Operating Officer Sean Fernandez said the Greater Louisville operation is an important milestone in the rapid growth of the company’s customer service network and said hiring in sales and operations is already underway. Almost Family Inc., a Louisville-based provider of home health nursing services, has signed a definitive agreement to acquire the stock of SunCrest HealthCare for $75.5 million. SunCrest, a Tennessee-based provider of skilled home health and personal care services, generated over $150 million in revenue in 2012 and currently operates more than 75 branch locations in nine states. The company is one of the largest home health provider chains in Tennessee, with 27 branches generating more than $60 million in annual revenues. In addition, SunCrest is a major provider in Florida with annual revenues over $43 million and adds the Florida panhandle to Almost Family’s service territory. Combined, the companies service the entire state of Florida with the exception of Miami-Dade County and the Keys. With this acquisition – the largest in the company’s history – Almost Family will operate more than 240 branches across 14 states and its annual net revenue run rate is expected to approach the $500 million mark. Eastern Kentucky can become an appealing regional destination for visitors from Kentucky and surrounding states, but making that happen will require long-term commitments from the private and public sectors to develop the tourism attractions that would be necessary, according to a recent study by the Kentucky Chamber Foundation. The chamber commissioned the study in an effort to find a way to offset the significant loss of coal jobs in the region. The purpose of the study was “to take a serious look at the tourism potential of Eastern Kentucky and to create a dialogue about how to develop an underdeveloped region of the state,” said Dave Adkisson, president and CEO of the chamber. Conducted by international consulting firm AECOM, the study analyzed national and state trends such as how far people are willing to travel for personal recreation, what types of recreation draw what types of visitors, the current mix of attractions in the region, the availability of broadband and various restrictions on alcohol sales. The study also looked at other regions of the country, including Gatlinburg/Pigeon Forge, Tenn.; Branson, Mo. ; Wisconsin Dells, Wis; and Bentonville, Ark. The chamber acknowledged that it commissioned the study with a limited agenda. Rather than tackling the host of issues facing Eastern Kentucky and other rural areas (such as education attainment, healthcare, drug abuse, the “brain drain,” etc. ), the chamber decided to build on the region’s natural beauty, relatively good highway access and central location relative to more than two-thirds of the nation’s population and to focus on tourism as a possible area of development and job creation. The study is available for download at kychamber.com/ekytourism.